Noida: Chinese company CRRC Corporation Limited has dispatched two more trains to Noida Metro Rail Corporation (NMRC) and they are expected to reach in Noida by March 20, 2018. On December 13, 2017, the NMRC had received its first aqua line train of four coaches, paving the way for a test trial run that started on January 2. The new trains that will arrive also have four coaches each. The NMRC is procuring trains from China at an estimated cost of ₹800 crore. 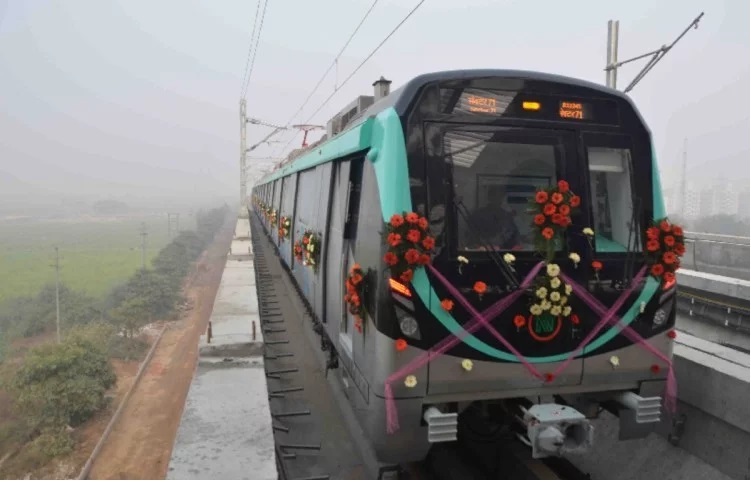 According to NMRC Spokesperson, they are to get a total 19 trains for the 30km Noida-Greater Noida Metro Link, which will be ready for trial run in April. But they will get all these 19 trains by 2019. They need 11 trains to start their commercial operations on Noida-Greater Noida metro link, which is almost ready. Presently they are busy in testing the electrical work and signals, and giving finishing touches to the Metro stations. 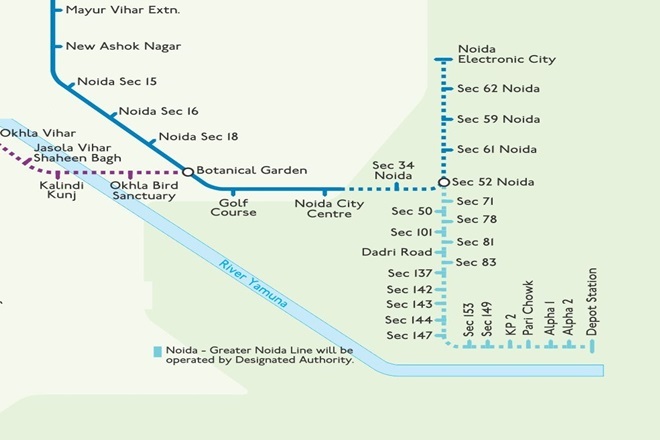 The 30 km stretch connecting Noida-Greater Noida has total 21 Metro stations in sectors 52, 51, 50, 78, 81, Dadri Road, sectors 83, 137, 142, 143, 144, 147, 153, 149, Knowledge Park 2, Knowledge Park 1, Pari Chowk, Alpha 1, Alpha 2, Delta 1 and Depot Station. It is expected to 15 lakh people from surrounding areas will be benefited after opening of the line. It is estimated to have a ridership of 1.2 lakh a day which will rise to 4 lakh people per day by 2031. One train has a capacity to accommodate 1,034 passengers and 16 differently abled persons. According to NMRC officials, work on the aqua Metro link is 100% complete and the DMRC is busy completing electrical and signalling work so that the project is ready for the trial in April this year. Officials added that they will try to make the link operational as soon as possible but the exact date of its inauguration depends on the safety clearance, which will be given by CMRS. NMRC has already written to the Research Designs and Standards Organisation (RDSO) in Lucknow for inspection of this link. “The RDSO officials will check the design, structure and technical details of coaches as per Indian standards before giving clearances. We will begin oscillation trials only after RDSO gives us a go-ahead,” PD Upadhyay said. “We have also written to CMRS for inspection and clearances. The CMRS clearance is crucial because the track cannot be opened to public before their clearance. Therefore, opening date of this track now depends upon clearances from CMRS,” Upadhyay added. The Noida Metro Rail Corporation, which was formed on November 14, 2014, owns this ₹5,503cr-project, including land cost. In 2015, the NMRC had signed MoU with DMRC to start work on this project in May 2015 with a completion deadline of 2017 end. The center is also ready to provide 50% fund to Noida Metro Rail Project.